This post is sponsored by FitFluential LLC on behalf of The Cherry Marketing Institute. Life has been BUSY lately! 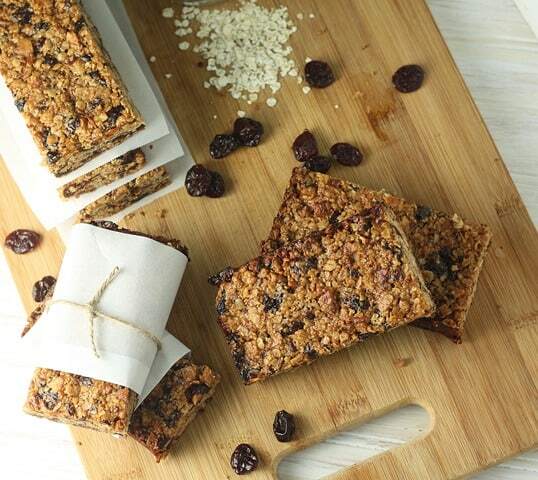 School started a few days ago and this teacher is extremely overwhelmed with enjoying the fast-paced world of kindergarten, cooking meals to eat later, keeping up with race training, and adding at-home CrossFit workouts at night. My usual morning CrossFit classes are put on hold until I get everything settled at school. As you can see, I need all the help I can get. 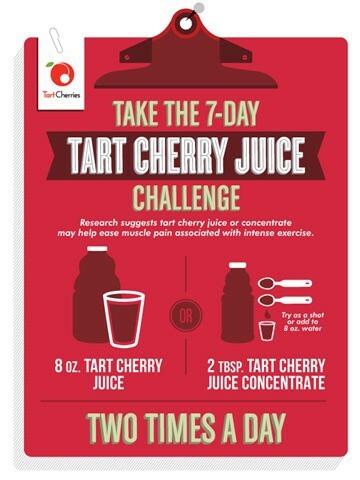 One activity I did complete during this busy time is finishing the 7-Day Tart Cherry Juice Challenge. Several studies have shown that tart cherries aid in recovering from workouts, reducing inflammation, and reducing muscle soreness. This sounded promising, but did it work for me? I drank 8 oz of tart cherry juice or 2 Tablespoons of tart cherry concentrate twice a day for 7 days. I had one serving before breakfast and the other serving post-workout. I timed this so that my 7th day of the challenge would coincide with a long trail run of 8 miles. In fact, the week of the challenge was one of the most physically challenging weeks of my entire year. According to my pedometer, I was averaging 13,000 steps a day with setting up classrooms, school shopping, and of course, the actual first 2 days of school keeping up with 25 kindergarten students. That 13K was my average before my running and workouts. I went from the couch to walking 6-7 miles a day plus workouts. So, what were the results of the tart cherry challenge? By the 4th day, I noticed a decrease in overall fatigue. This was surprising since my activity level dramatically increased. This benefit continued through the rest of the week. I did not experience any muscle soreness during the week. I also did not have any soreness, delayed or immediate, after my brutal trail run. It was a tough workout with a lot of hills and technical single track. One surprising effect was the dramatic improvement in my knee. I strained the MCL when I fell on ice back in June. I had a steady increase in range-of-motion for about 2 weeks and then all progress stopped. I could walk and run on it, but I had to be careful with twisting or rotation of that knee. 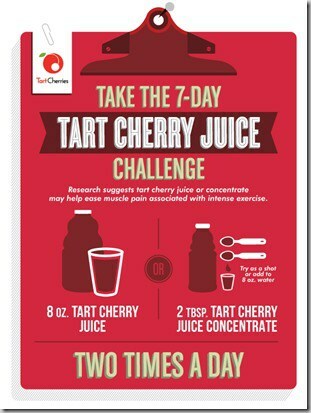 During the 7-day Tart Cherry Juice Challenge, I slept through the night and did NOT wake up with a knee twinge. I noticed my range-of-motion has started to increase again. That was a very pleasant and surprising result of this challenge. I enjoy tart cherry juice in smoothies and protein shakes like the my peach pie smoothie. I also like eating dried tart cherries. 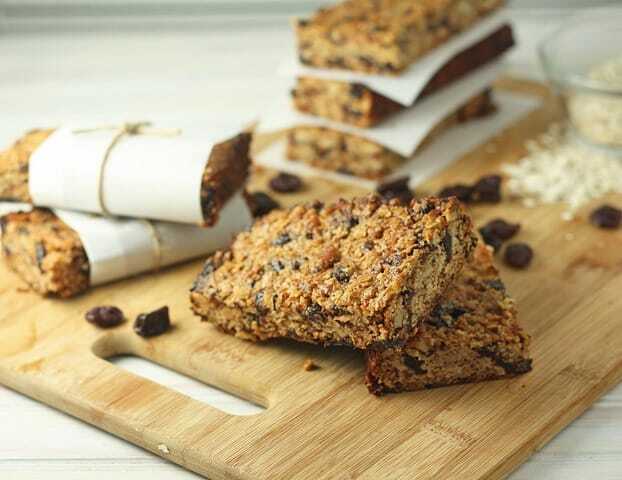 I decided to create this chewy granola bar as a perfect snack for the school day. 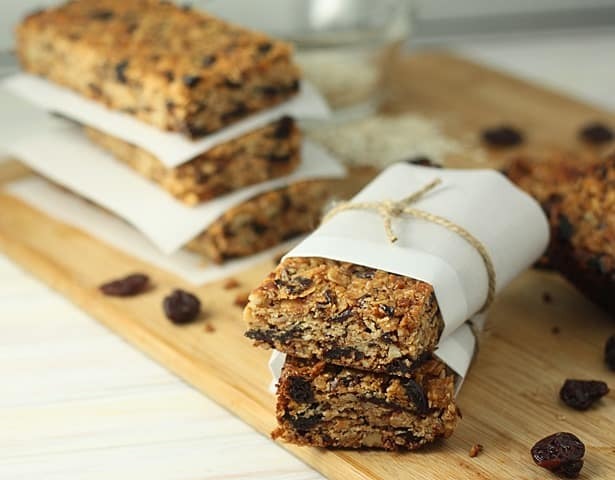 I need a bar that is gluten-free but packed with protein to carry me through an early lunch with the kids until I could have my break in the afternoon to eat my lunch. This is also a perfect recovery bar after a long grueling trail run. 1. Preheat the oven to 350°F. Line an 9″ x 9″ pan with parchment paper. Spray paper and any exposed pan with oil spritzer or baking spray. 2. Combine dry ingredients (flour, sugar, oats, spices, fruit and nuts) in a large mixing bowl. 3. In a saucepan over med-low heat, melt the butter. When the butter is almost melted, add the honey and almond butter. Stir slowly to combine. Add vanilla after the other wet ingredients are combined. 4. Pour wet ingredients over bowl with dry ingredients. Stir to FULLY combine wet and dry. 5. Add to pan. Push down into pan, pressing with fingers. 6. Bake 30-40 minutes until firmly set. 7. Cool on counter. Refrigerate for 30 minutes to set. Cut into 9 rectangles. Putting these in the refrigerator to set will allow them to set into a bar consistency. They will cut easier and maintain their shape. Great recipe! Pecans are my favorite nuts.